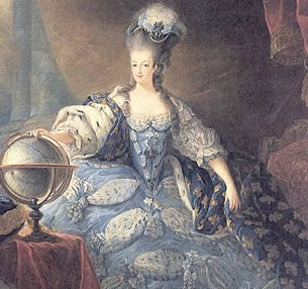 In August of last year, I was able to review an absolutely wonderful book about an intriguing historical figure in Becoming Marie Antoinette (read the review here). Today, I get to continue the story with its sequel, Days of Splendor, Days of Sorrow! We left off in Becoming Marie Antoinette with Marie and Louis just ascending to the French throne as young, inexperienced teenagers. The book ended with hopes of a glorious future for the young couple, as well as the entire country. The second book picks up right where we left off, and Marie is relishing in her new role as Queen. She throws parties that last for days at a time with no rest, never wears the same outfit twice, designs elaborate wigs, and gambles thousands and thousands of dollars at a time. However, in time, she is forced to grow up with the threat of civil unrest and war looming. I loved how the American Revolution and the things Benjamin Franklin said gave an eerie light to the future of France. The irony is pointed out that France assisted a bunch of peasants in overthrowing their own monarchy, when the same thing would happen to them in a few years time. The few hinderances I had with the book are forgiveable, or they just may be simply me. I found the first part of the book, where Marie is still very young (in her late teens/early twenties), to be quite slow. She was just a naive, frivolous girl, and it was a bit dull to read about her constant partying and gambling. Once she became a mother, settled down some, and we first feel the rumbles of the Revolution, I become MUCH more interested. Also, I wasn't sold on Count Axel von Fersen. I still don't know why he was so alluring to Marie, except for his complete adoration of her and kind personality....but two books into the trilogy, and I still feel that we don't really know who he is. Another problem I had may just be ignorance on my part, but I kept getting all of Marie's maids, sister-in-laws, and close friends mixed up because their names were all so, well, French. So many Maries, Thereses, and Mademoiselles! I really liked the way Louis was portrayed. 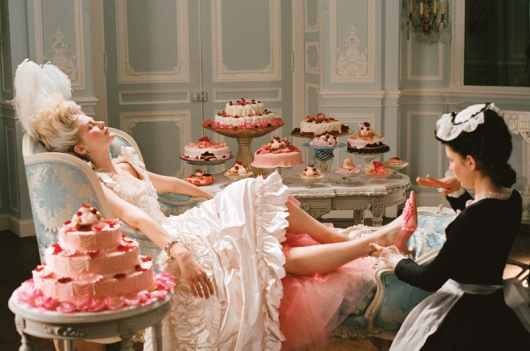 We get a much deeper, mature, and tragic view of him than what we saw previously in Becoming Marie Antoinette. The descriptions of clothes, palaces, and food are all simply divine! Juliet Grey did a wonderful job in ending the book on a note where we know everything is about to change for the royal family and the country, but we are still left with a slight glimmer of hope. I can't WAIT to read the final installment of the trilogy, The Last October Sky, where, as we all know, everything will end. 4 stars! Glad you liked it! I'm excited about but also kinda dreading The Last October Sky because of what is bound to happen there... I had a hard time keeping track of all the different Maries as well, at one point I just gave up. I always like when an author makes historical figures come to life and Juliet Grey really did that for me.